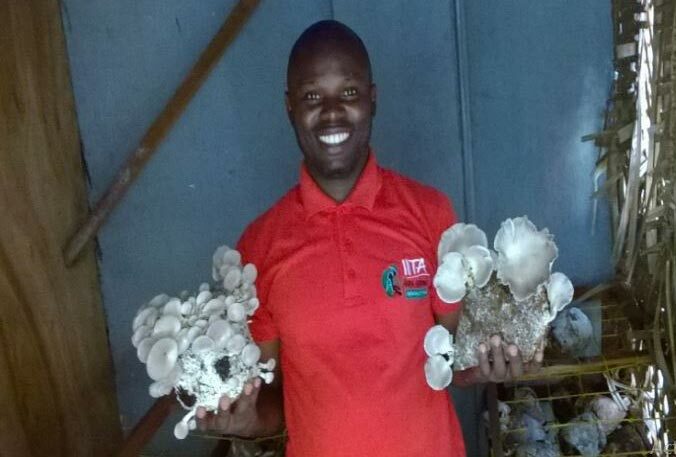 “Oysters”, scientifically known as Pleurotus sajor-caju, offer important business opportunities in Congo. Although they are in high demanded and appreciated by the Congolese market, they are hard to find. Mushrooms offer significant nutritional benefits. They are rich in proteins, vitamins A and B, and sodium, which all contribute to the healthy functioning of the human body and its immune system. They are also known to give strength, aid digestion, and fight high blood pressure. Oyster mushrooms can be grown all year round and require minimal financial investment and space. Thirty to forty-five days after the inoculation of the substrates with the mycelium (mushroom spawn), mushrooms start to appear and can be harvested and sold to consumers. After production, mushroom substrates can be used as an organic fertilizer in vegetables and fruit production. 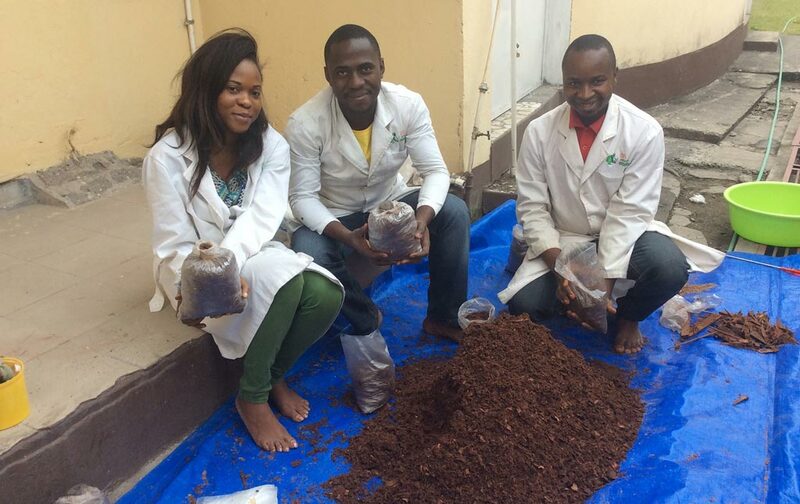 The Youth Agripreneurs mix a basic mixture of substrates. In order to reduce production costs and respond to the high market demand, the IITA Kinshasha youth agripreneurs (IYAKIN) are planning to start Oyster mushroom and mycelium production on a large scale.